That's right, tonight we are having a good old fashioned mustache party... really just mustached teamed reason to have friends over to our place for some games (pin the 'stache on Burt Reynolds) and giggling! I love how everyday glam Gwyneth Paltrow looks in her pair! Are you working on your Pinterest Challenge projects?! 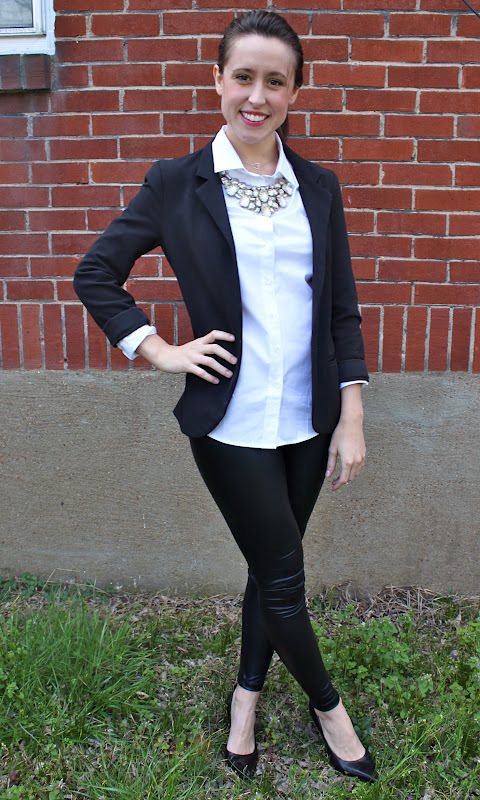 Hi, I just ran across your blog when I googled liquid leggings! I love how the Windsor ones look on you--have they held up in the wash? Also, did you have to buy a larger size than your normal legging size, or do they fit pretty true to size? Thank you! I was nervous about the necklace over the shirt trend, but now it is my go to as well! This pair great because they are high quality, but super affordable. I perfect way to dip your toe into the trend! Great outfit, the necklace is amazing! 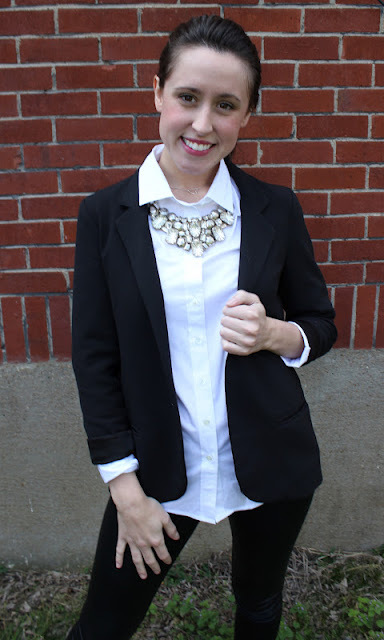 Love the statement necklace - I have one just like it and I have been wearing it all the time! 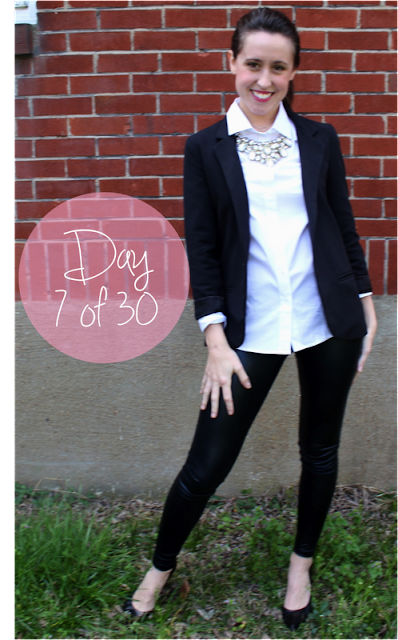 Your liquid leggings look amazing! So cute, I love that necklace! I've had liquid leggings on my wish list for a while now- they're awesome!